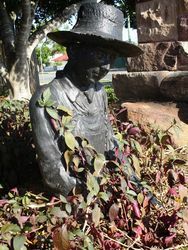 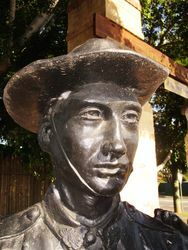 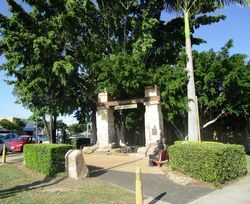 An arch honours the spirit of the ANZACS and commemorates the history of the northern part of Pine Rivers Shire. 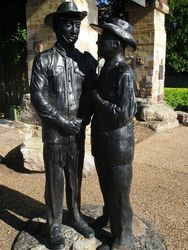 Two soldier statues in uniform standing to the left are positioned near the arch with another soldier statue kneeling in the garden under the archway. 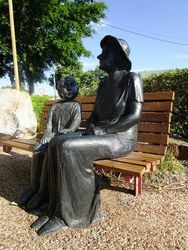 A statue of a woman and child sitting on the park bench is located to the right. 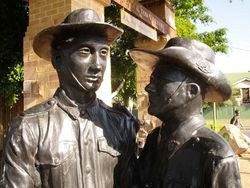 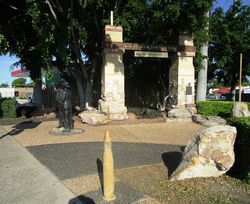 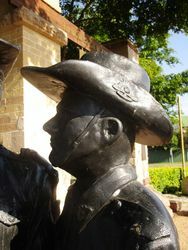 In honouring the Spirit of the Anzacs and commemorating the history of the Northern part of Pine Rivers Shire, this Memorial Gate was erected with the cooperation of the Federal Fund Year 2000, the Pine Rivers Shire Council, local business and RSL.